Compliment your bedroom furniture with Maverick Dresser's contemporary designed piece of art that is bound to light up your room. The side plates help you store your essentials in the most organised manner, making your mornings easy and less cumbersome. The side storage cabinet gives you extra space and the seat aids comfort. 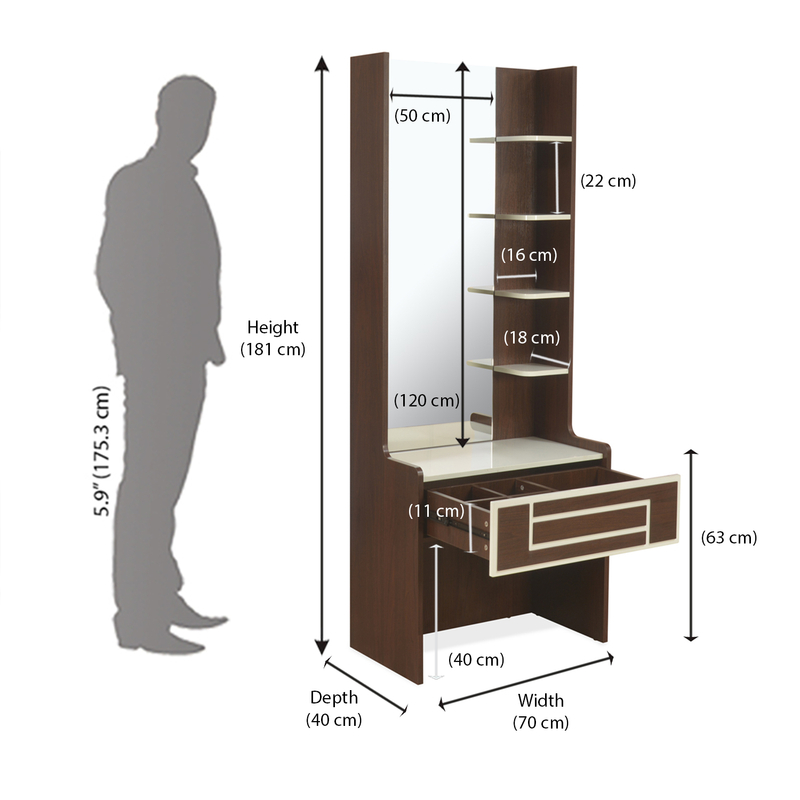 The fairly big sized mirror gives you a great view of yourself, helping you dress and put your best foot forward for every occasion you step out. The bright shade of brown blends well with your other pieces of furniture, making up for a perfect room.